So, as you all know, we have been undertaking massive renovations on not one, but three houses. Right now, the most important to me is the main house at the farm. 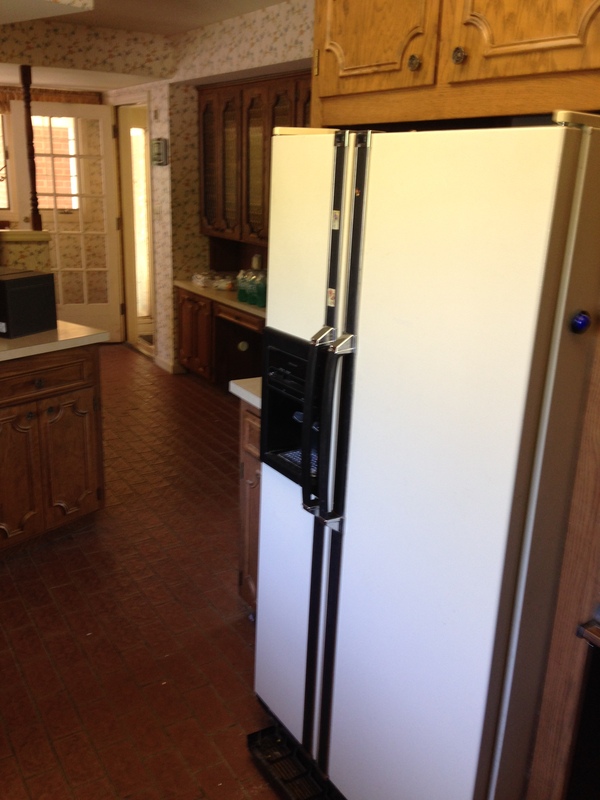 It isn’t terribly functional yet, and it is the one we’re planning to live in. As such, we’ve kept busy with constant projects. The thing is, there is a bizarre-o event that takes place when your house is updated: Suddenly, the rooms you thought were fine, the one you thought you could deal with, start to look shabby. In my case, that room is the kitchen. 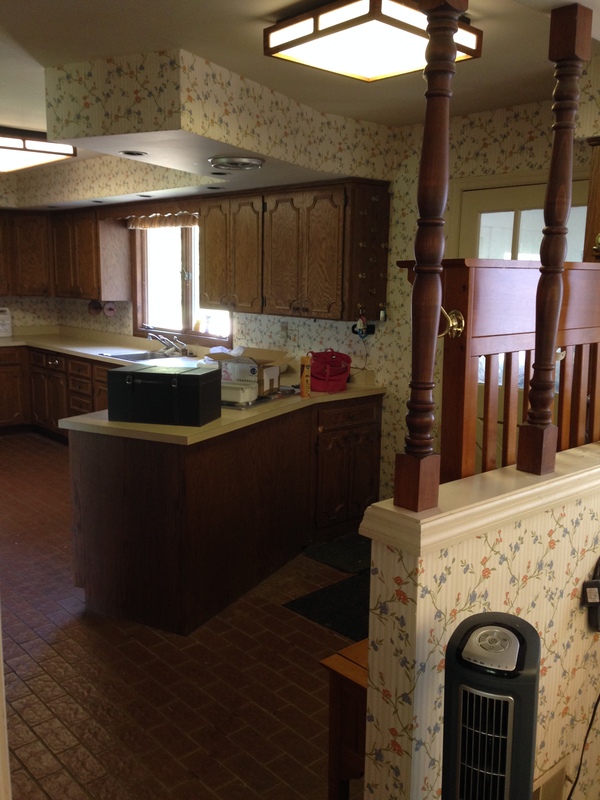 Originally, we thought we would use some of the equity in our Heights house, once it sold, to re-do the kitchen. Later, when realizing the inherent troubles that come with attempting to heat such a large house with propane, it became obvious that the reasonable thing to do would be to use the money to put in geothermal heating. Given that gutting and reconstructing a new kitchen will probably cost us our arms, legs, and firstborn child, I decided to deal with the kitchen as-is. It became the “one day” project. 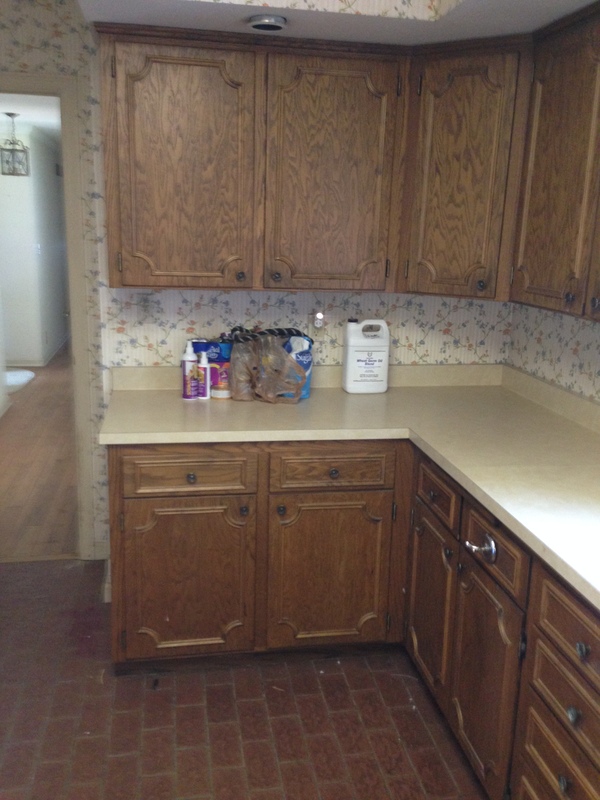 One day, when we have less debt and fewer projects that HAVE to be done, I will get a new kitchen. I have no issue with that, but the more we updated around the kitchen, the more dated and out of place the kitchen started to look. In addition, it isn’t terribly functional for my purposes. The oven works, but is quite small. The stovetop has one working burner. That’s when the crazy voice inside of my head–let’s call her my Inner DIYer (ala Mother Hen’s Inner Comedienne )or Di–began to follow me into the kitchen. Every time I crossed the kitchen threshold, she was there. I have to be honest, it’s dangerous to let Di talk to much. She has big ideas that will quickly unleash chaos. Di grinned. She is excellent at reading the room and always knows when to push an issue. I glanced around. She had a point. Also true, but holy cow, whining much? It took a moment, but once I did that, I realized she was right. She scrunched up her nose and looked around. This is the room I wasn’t going to touch. Previous A week at the ranch. Next Introducing the bitty babies! 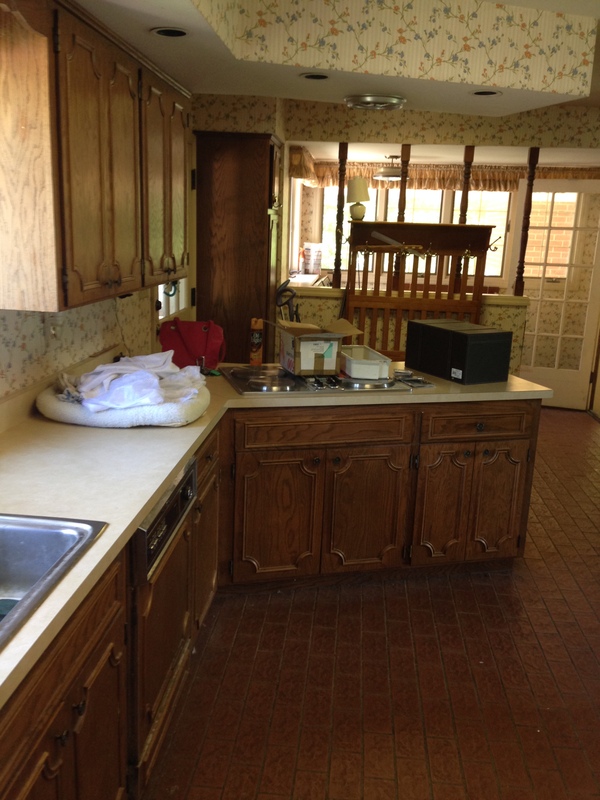 All I can say is that this old house did not feel like home to me until we gutted the dreadful kitchen that was here. Go for it, “Di.” It’s well worth it. Yeah, I spend way too much time in my kitchen to not like it. I have an internal accountant. She is usually silenced by my external husband. Excited to see what you end up doing! VOICE: I have a great idea for a story. Two men painting a house. ME: I am still working that idea you gave me four ideas ago. VOICE: But your female readers will love this one. ME: My female writers will love the one I am working on now. VOICE: I don’t know about that. You’ve turned Fabio into a wuss. ME: Well, you wanted Belinda to un-wuss him. So that is where I am at. Un-wuss-ing Fabio. VOICE: This new idea that I have come up with. The guys are Cain and Abel. ME: Forget it. I don’t want to go down that path. It sure makes life interesting. Fine, FarmGirl. You’ve guilted me into thinking about cleaning my kitchen and living room floors. Thanks a lot. It’s interesting and fun to read what you want to do to the house, especially the kitchen. I wanted to totally scrap what there was and create something newer, more interesting, and fun for me to work in when we first moved there in 1995. Instead I just quit cooking. Firstly, THANK YOU for the shout out, Cherity – YOU. ARE. AWESOME! And this post – you had me in stitches the whole time!! Yep… That Di was in residence when we were doing up our big house some years back. She is SUCH fun! Until inner accountant lowers the boom with a little thing called reality. 😀😁😂 Still, I see she has won this round. And I just KNOW you will love the result!! Life of the party, Di, until the real work starts. Then, she vanishes until it is done and she can gloat about what a good idea she had. At least in my experience.